The Spirits welcome the team at Core Physical Medicine as an official Platinum Club Sponsor starting in 2019! Core Physical Medicine has proudly served as Chiropractors in Coppell, Valley Ranch, Irving, Keller and neighboring areas since November 1996. Their services include chiropractic care, individualized injury rehabilitation, pain management, non-surgical spinal decompression, advanced cold laser therapy, sports therapy, and deep tissue massage. The team at Core treats headaches, back, neck, shoulder, knee, ankle pain, as well as carpal tunnel syndrome, sport injuries, and work/auto related injuries. You can expect to receive quality mainstream care for the treatment of musculoskeletal pain and other injuries. Among the talented staff at CORE, the Spirits and their surrounding friends, family and other teams throughout the DFW area can expect the best in treatment from Dr. Schnauppauf and the rest of his team. Dr. Schnappauf is the owner of CORE Physical Medicine and serves as a Doctor of Chiropractic after receiving his Bachelor of Science degree from Montclair State University in New Jersey in May of 1986. He later attended Parker College of Chiropractic and graduated with a Doctorate of Chiropractic in August of 1995. He’s certified in Cervical Spinal Trauma by the San Diego Spinal Institute and specializes in soft tissue mobilization/release techniques for alleviation of joint/muscle dysfunction. Dr. Schnappauf is also a Designated Doctor for Texas Worker’s Compensation. Also serving clients from the Coppell location is, Dr. Chris Guerrero. Dr. Guerrero is a Doctor of Chiropractic working in the areas of Physical Therapy and musculoskeletal injury treatment. Dr. Guerrero received his Bachelor of Science in Anatomy along with his Bachelor of Science in Health and Wellness at Parker University in 2014. He would later enroll in the chiropractic program and attain his Doctorate of Chiropractic in April of 2017. Dr. Guerrero possesses extensive knowledge of the information and techniques used to diagnose and treat musculoskeletal injuries and deformities. He also has advanced knowledge of the methods and procedures for rehabilitation of biomechanical dysfunctions. Dr. Guerrero aspires to further his education and one day achieve his diplomate in chiropractic sports medicine. Outside of his talent at the office, Guerrero will also join the team in Las Vegas to assist as the team’s physical therapist and chiropractor. Last and certainly not least is the incredibly friendly personality and talents of Dr. Jaqueline Clark. Dr. Clark is a Doctor of Physical Therapy in the Coppell, TX office and she received her Bachelor of Science in Exercise and Sports Sciences from Texas Tech University in May of 2014. Her Doctorate of Physical Therapy was completed at Texas Tech University Health Sciences Center in May of 2017. Dr. Clark is an active member of the American Physical Therapy Association and the Texas Sports chapter. She is working towards certifications in manual therapy, dry needling, and other specialties to provide better care for her patients. The team is enthusiastic about building their relationship with the team at CORE and looks forward the opportunities of working with their dedicated teams to keep players healthy and moving. We owe it to our fantastic sponsors for their overwhelming support of our club and its players, and our long time friends at Waxahachie Autoplex continue to support the ball club each year. As the Official (35+) Platinum Sponsor, Waxahachie Autoplex has served the team and the club as a whole extremely well, and that service has extended to individuals as well. The Dallas Spirits have been proud to send players and friends to visit their incredible location in Waxahachie where you’ll find simply one of the best options for vehicle purchases. Be a part of a well-rounded automotive experience by shopping for your next vehicle at Waxahachie Autoplex. As the biggest little dealer in Texas, they are proud to serve the Dallas/Fort Worth Metroplex area with an amazing selection of new and used cars. Each of their lots are conveniently located in Waxahachie, TX near Midlothian, DeSoto, Cedar Hill, and Red Oak. You can count on their team to facilitate the buying process for customers, from valuing your trade-in vehicle to getting you pre-approved for financing straight away. Need vehicle service? No problem! You can schedule service and purchase parts from their dealerships with ease. Whether you are looking for a low-mileage used Ford car or SUV, a pre-owned Chevy truck, or a Dodge muscle car with a clean CARFAX report, they have just what you need at their used car dealership in Waxahachie. They stock many used cars from Chrysler, Dodge, Jeep, RAM, Ford, and Nissan among others. Take advantage of options under $10,000. Whatever your budget, you’ll be able to find something from their inventory that puts a smile on your face as you drive off. You can count on the best when it comes to vehicles in stock, along with an intelligent, trusting, and friendly staff plus prices that compete against anyone in the metroplex. Visit our friends at Waxahachie Autoplex today, and you’ll know why they’re simply the best of the best! DMIS Managed IT Services made its debut as a Dallas Spirits Baseball Club sponsor in 2017. Special thanks goes to Jack Nash of the Spirits (45+) squad for his commitment to the club both on and off the field. At DMIS Managed IT Services, you have a number of professional options to provide your company with 24/7 monitoring and expert support on any device or circuit for about a dollar per day. DMIS is a full service information technology (IT) company, headquartered in Frisco, TX, that offers professional services, national onsite dispatch services, agency services, and 24/7 US-based expert technical support services to businesses of all sizes at an exceptionally affordable price. DMIS works very closely with our valued clients in various ways to integrate within their internal processes and compliment their internal efforts of sourcing, maintaining, and supporting all of their business critical IT systems and applications. We work directly with their end-users and their core IT teams and are held accountable by their senior leadership teams to ensure the company’s priorities and objectives are achieved in a timely and affordable manner. The Dallas Spirits welcome Christi Greene Homes as an official sponsor and friend in 2017. At Christi Greene Homes, you’ll not only get the best from the real estate world, but service with a personal touch. With Christi and company, you can expect they’ll strive to consistently provide high quality, innovative, and exceptional real estate experiences for buyers and sellers throughout the DFW Metroplex. Expect them to want your experience in buying or selling a home to be exceptional enough that you’ll share your experience with others so they can have an equally wonderful real estate journey. Their agents specialize in your specific needs whether your a buyer or seller and they deliver with an incredible Director of Client Services to walk you through each step of the process. At Christi Green Homes, they love what they do and enjoy helping people each step of the way when it comes to buying and selling real estate. As long time residents of the Dallas/Fort Worth area, their staff enjoys spending time with friends and family throughout metroplex and always enjoy seeing past clients/friends when they’re out and about. Contact them today for a friendly and professional experience. Their goal is to ease your mind during your real estate experience while making your Lone Star dreams come true. The Dallas Spirits Baseball Club would like to welcome J. Macklin’s Grill as an official club sponsor and friend for the 2018 campaign. J. Macklin’s Grill, the Mod-American Coppell destination for all-day dining, serves up playful variations on classic standards in an atmosphere that’s stylish, sophisticated, and cool! It’s their mission to help you savor life by providing a legendary experience delivered with a sense of individuality and company pride. Join the festive atmosphere that extends to servers, bartenders, and other staff alike, while knowing for certain you’ll be bumping into a friendly face and acquaintance from the area. At “J-Mac’s”, as the locals refer to it, you can settle into a spacious booth for a comforting brunch or brisk lunch, or stretch out at their community table for an elegant dinner. Unwind on the patio for a breath of fresh air, or better yet, belly up with the gang at the bar for that postprandial nightcap. At J. Macklin’s Grill, they honor the past while keeping the pulse of DFW’s adventurous and evolving tastes. They LOVE food, and it SHOWS! Whether you’re planning your pre-game breakfast or lunch, or heading over after another Spirits victory, join the club and the team where everyone wins at J. Macklin’s Grill, located conveniently on the main drag in Coppell, TX. 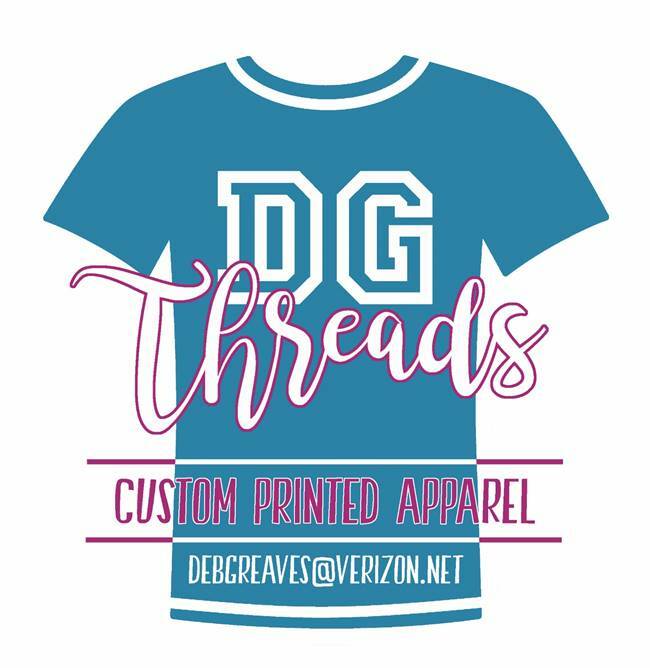 The Spirits not only welcome, but also want to thank DG Threads for their work on custom Dallas Spirits Baseball Club gear including team hoodies and championship tees. Deb joined us as an official sponsor and friend following our 2017 campaign and 3 Championship runs out of 5 NTABL Leagues. She and DG Threads provided the team with both professional and personalized care in setting up the team with some amazing gear, and the team couldn’t be more proud to show off the swag as we make our way around Dallas. 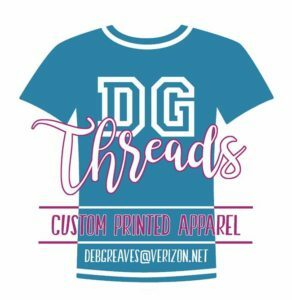 You can count on DG Threads for quality and a quick and professional experience for your printing needs. There will be more to come in the near future, but please contact Deb today to discuss questions or to arrange a quote for your team’s shirts, swag, and more! 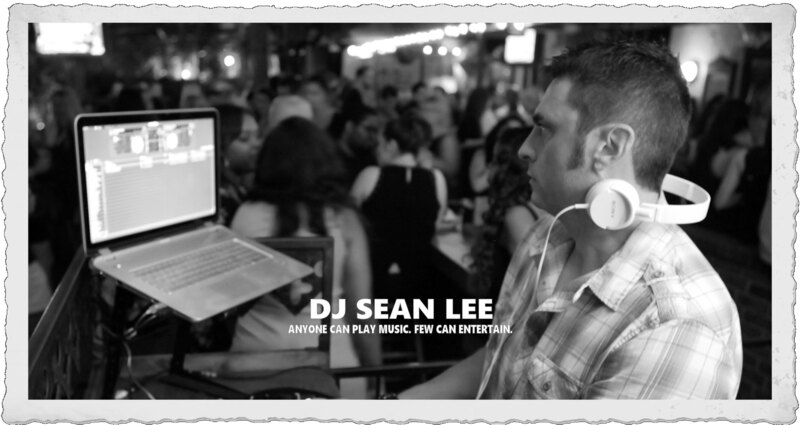 Special thanks to DJ Sean Lee, representing the Dallas/Fort Worth metroplex and beyond. With 25 plus years of experience performing at local hot-spots and pubs, high energy nightclubs, memorable school dances, and some of the most memorable weddings in recent history, and then combining that with professional on-stage experience you can rest assured that when you choose DJ Sean Lee for your event that all your needs will be met and all expectations will be exceeded. With Sean’s recent link to the Kidd Kraddick Morning Show and becoming the show’s first “Official KiddNation DJ,” Sean’s success has really been put into overdrive! Sean was hand-selected by the Kidd Kraddick Morning Show to fulfill his dream of performing live on the air. Click here to listen to Sean live in the studio discussing his DJ life before they share an exciting opportunity. He was initially invited to the show’s Friday morning “Flush the Format,” and the opportunity featured a chance to spin on the show’s nationally syndicated program for the entire country in back May 2015 and again in January 2016. His initial performance sparked a nationwide search for the best DJs across the US and the success of his on-air performance quickly led to a stint opening for New Kids on the Block, Nelly, and TLC live at American Airlines Center in May, 2015. Contact Sean today for a one-of-a-kind DJ experience. Remember; Anyone can play music. Few can entertain!